With a deep understanding of what the body can endure, an amateur cyclist takes on the most gruelling mountain bike race in the world. Part 1 of a 2-part series. Photos by Titan Desert. What happens when brain, brawn and a bike meet sun, sand and self-sacrifice over six days of grueling competition in temperatures that exceed 50 C? Jon Bowskill has some answers. This race, in its ninth edition this year, is a 700 km course across Morocco, from the Atlas Mountains into the Sahara Desert. As well as a battle between body and bike, time and terrain, it is a battle with the sun. It took me two weeks before I could hold a knife and fork properly . . .
Bowskill is not a professional cycllist, but he's been pushing the pedals as an amateur in competitions for five years now, with many arrows in his quiver, sports-wise. He is a veteran of Ironman Nice Triathlon that includes a 180 km bike course with almost 2000 m of climb, plus a 3.8 km swim and a marathon length run. He completed this year’s Ironman for the fourth time, less than two months after he did the Titan Desert in late April. Last year he tackled the Marathon des Sables, an ‘ultra-marathon’ (251 km: equivalent to nearly six marathons) described on the Discovery Channel as "the toughest foot-race on the planet." "I spent too much time running with a heavy pack, which wasn't really good training for the triathlon, but I really enjoyed being in Morocco. When he heard the country had a mountain-bike race, he was in. Day 1. On the road out of Midelt. Bowskill has a deep background in sport rehabilitation medicine. He has a degree in human movement studies and studied performance health and fitness instruction, qualifying as an advanced personal trainer. Specialising in musculoskeletal rehabilitation, he joined the neurosurgical team at the London Spine Clinic where he headed up the exercise rehabilitation programmes, focusing on spinal and sports injury management. He now heads up one of London’s leading physiotherapy rehabilitation clinics, the Bowskill Clinic. Does he gain a lot of knowledge from the physical and psychological experience of six days of competition in the Moroccan wilderness? When asked he simply talked about the connection with nature, the respite from urban pressues and the challenge — a humble fellow raised in the north of England. Back in the UK, after he completed the race in early May, Bowskill sat with us in his Mayfair clinic and recounted his Titan Desert experience. “It took me two weeks before I could hold a knife and fork properly, or even cross my fingers.” But neither he nor the Spanish race organisers with 450 riders on their hands could have predicted the outcome. Hugging the low hills of the Atlas Mountains on the way to the Sahara. Supper in the Gourama mountain camp on the evening of day 2: "Fantastic food and very much appreciated after a long day in the saddle." 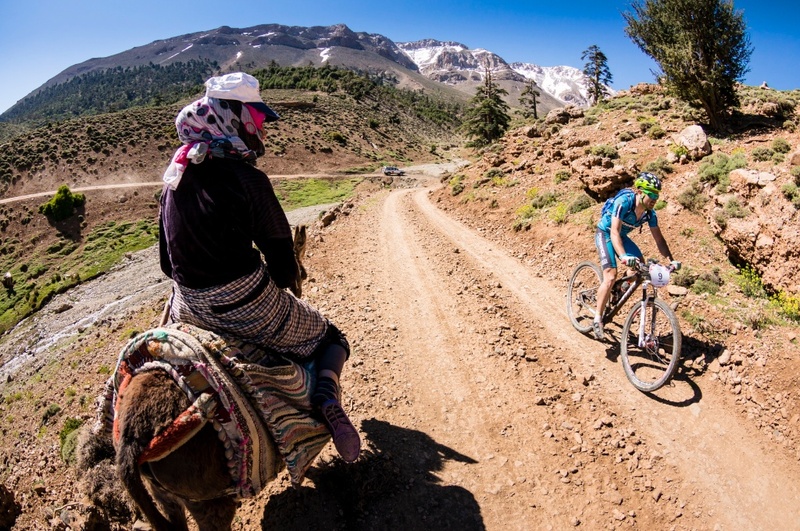 The race started this year on April 27 in Midelt, a Berber town at 1,500 m elevation between two ranges of the Atlas Mountains. Bowskill arrived there two weeks early to get acclimatised. He brought an aluminium bike with 26-inch (ISO 559 mm) wheels. “It was just a bike I happened to have, but really I should have had a carbon frame with 29-inch (ISO 622 mm) wheels, it would have rolled a little faster,” he says ruefully. Temperatures there were just in the 20s, and there was still snow on the surrounding mountains. Things would soon heat up, but not before some chilly nights. The logistics team transports 40 tonnes of water, and with discarded bottles and everything else, down even to single pages of the riders' route-maps, the environmental policy is strict: absolutely nothing must be left on the terrain. When the caravan moves on, it's as if it had never been there. At eight o'clock you start racing and you race all day until 6 or 7 o'clock at night. Your only goal is to keep going. The first day was a 120 km looped route, the Cirque du Jaffar, with mountain trails and 2,134 m of gain (climb), returning to Midelt. The next day stretched 137 km over more mountain tracks and even more gain, over 2,400 m. The route included a Grand Canyon, described by the organisers as "seven kilometres of difficulty." The day incorporated the first half of the marathon stage, where no assistance is allowed. As Bowskill explains, “You carry all your gear on that day — sleeping bag, roll-mat, warm clothing, all your food for the next day — and then camp out” at a place called Gourrama. Make it to the end camp each day and you are allowed to compete the next day, but there is a cut-off time. If you don't make that you don't get the 'general classification' of having completed the race at the end. 'The mountain stages are more metabolically demanding because of the altitude,' says Bowskill. 'It's hot, but not scorching hot.' He was on the verge of being in the middle of the rankings here. Tents for the riders, Cirque Jaffa. Half way through the third day, it became a battle of survival rather than a matter of racing. Downhill has dangers as well, as the 25 or so professionals in the race knew well. "A lot of the pros and top amateurs race in packs going across the flats, but going downhill [the pack] is stretching out much more." This is because ‘there are big crashes coming downhill. Some of the descents are pretty fast and gnarly. If you come off at that speed, it's not like you’re on a road and slide and get grazed... There's quite serious injuries.’ The chance of clipping someone increases. "You know when someone passes you the risk of coming off is greater," he tells us. The third day finally ended in Boudnid, near the Algerian border, and it was becoming apparent that things were not going to plan. The attrition rate amongst the riders was already higher than expected, and climbing. 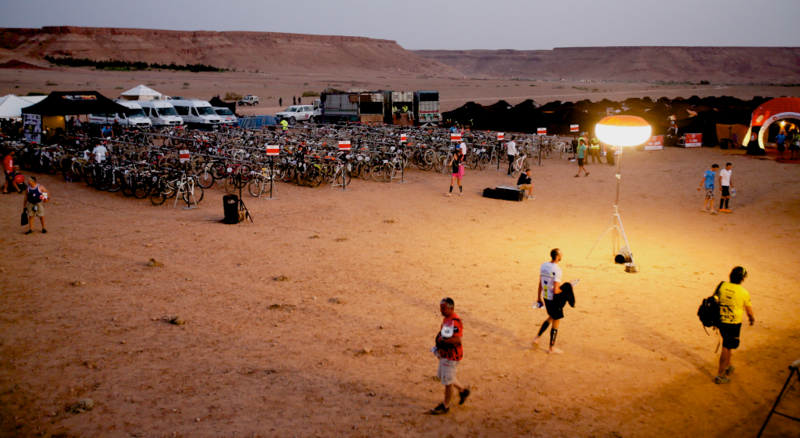 Day four would unleash the full power of the desert on those riders who had stayed the course. Sands would drastically change the pace, and temperatures were about to soar. The fight against the sun was about to get very serious . . .
Jon Bowskill, #352, struggles through "the sand that is like dust." 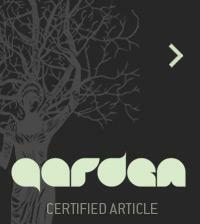 READ PART 2 of "Fighting the Sun for Sport." VIDEO of Jon Bowskill being welcomed back to Midelt at the end of Day 1. HERBERT WRIGHT is a London-based author and journalist specialising in architecture and art, and a contributing editor of The Journal of Wild Culture. He studied physics and astrophysics at the University of London. He is currently contributing editor of Blueprint magazine, columnist of the Royal Institute of British Architects Journal, and contributor to le Courier l’Architecte. Herbert is an urban man but is fascinated by remote places and the limits of human ability, and is an admirer of Italian cycling legend and Tour de France winner Marco Pantani. Moroccan junior welcoming committee in each village: "Welcoming, mischievous, and always smiling!"